Charitable donation made annually at our AGM is nominated by our members. Every year we donate to a charity chosen by our members. 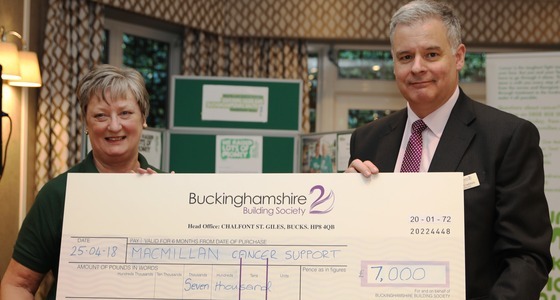 This year Liz King, an Ambassador for Macmillan Cancer Support for the Gerrards Cross and Buckinghamshire South Fundraising Group, along with representatives from Heart of Bucks, was presented with a cheque for £7000 at our Society’s AGM on Wednesday 25th April. “I am delighted that our members have voted for the funds from our charitable foundation to go to Macmillan Cancer Support” said Andrew Craddock, CEO at Buckinghamshire Building Society. “I think many of us have been touched by cancer and the work they do is invaluable to those affected”. 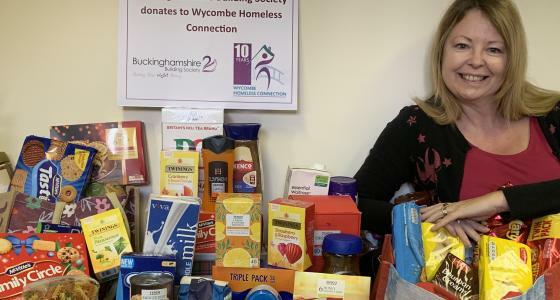 Liz King, fundraising volunteer said “We are extremely grateful to the Buckinghamshire Building Society and its members for choosing to support Macmillan. With their support we are able to help more people in many different ways, when they need it the most”.